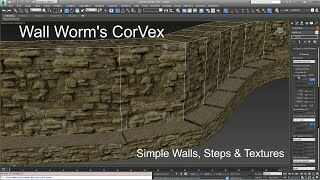 CorVex is a scripted geometry plugin for Autodesk® 3ds Max® 2010+ aimed at quickly building game level layout for any game engine or even general design. It offers convenient seamless, tiling mapping controls and geometry that is controlled by spline bases. You can create blocks or walls, and the walls have much more convenient UV control than standard AEC Walls. 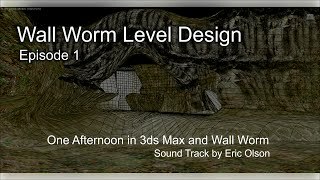 Please note that the version available in Autodesk Exchange may be behind the version found on the Wall Worm website because of the review process on the Autodesk website. Added new controls to set Vertex Colors for various parts of a CorVex object. Optimization improvements. Latest support.